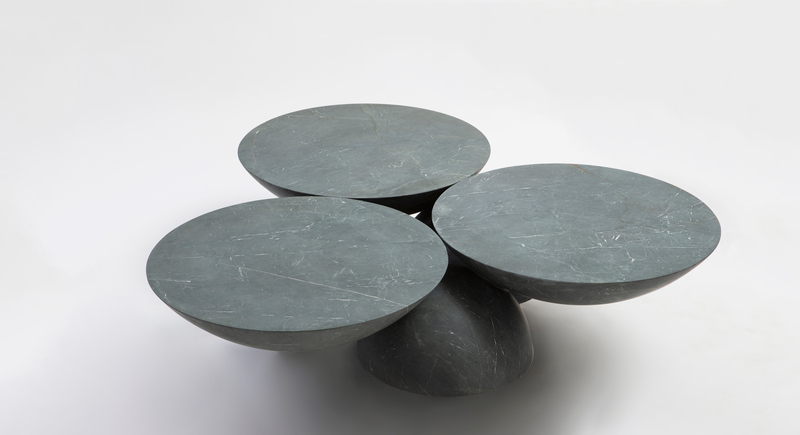 The coffee table of EWE Studio is made out six half spheres, three smaller half and three large half spheres, that are assembled together. 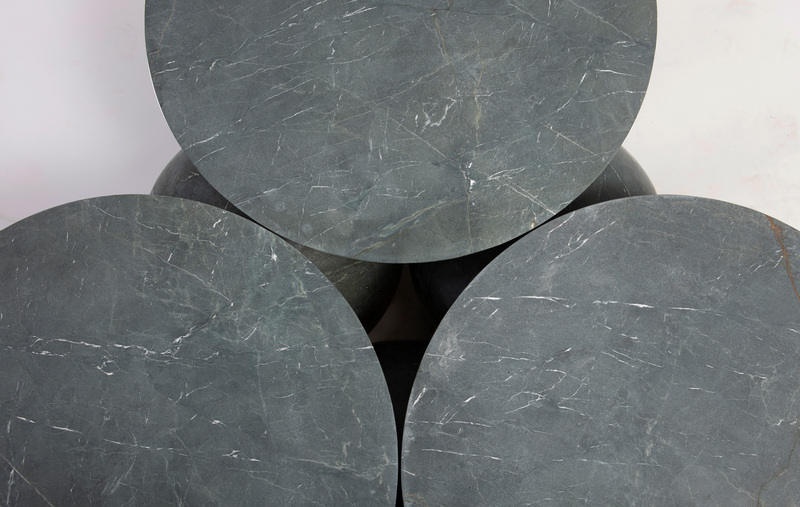 The table is carved out of Tikal green marble by our stonemasons. 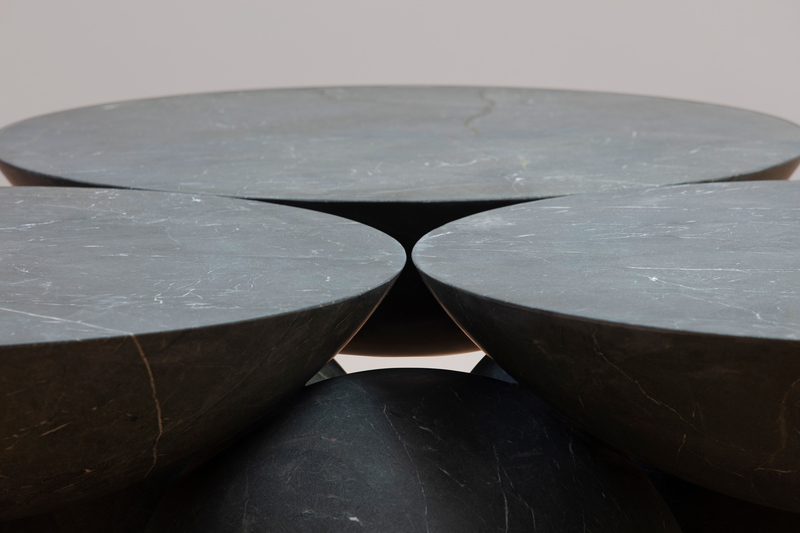 The technical complexity of the work is related to its stability, as the upper big spheres are seemingly hovering in the air, resulting in a magnificent visual tension that defies gravity on its cantilever. 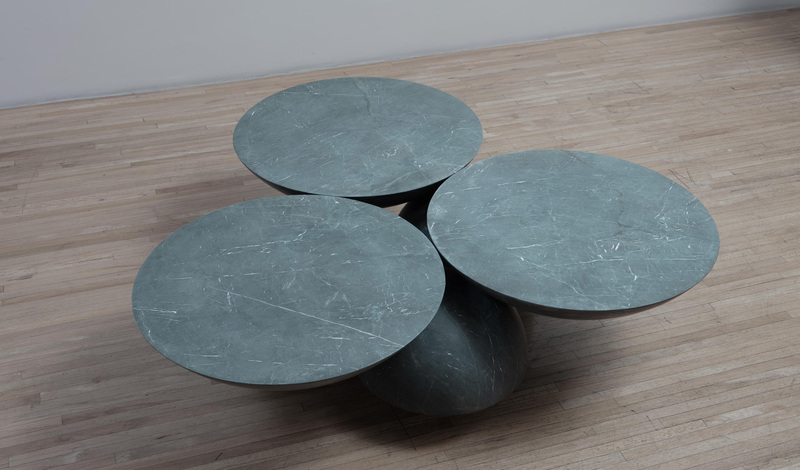 The table achieves its balance through understanding the tangential connection of its parts and the hidden elements that allow to assemble them together. 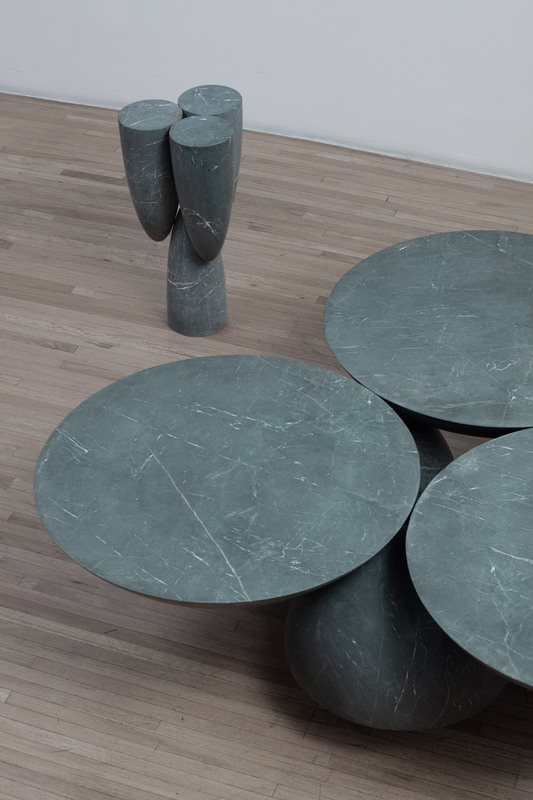 The striking and simple expression of the table create a sense of purity and balance in a mystical and profound way.